SPI's core technology is in pattern recognition and its applications. Over the past five years, we have developed real-time products and prototypes in chemical agent detection and classification, multimodal biometrics, speech processing, fault diagnostics and prognostics, and target detection and classification. Some recent projects at SPI are briefly described below; other past projects not listed here can be found in the Publications. Interested parties can contact Dr. Chiman Kwan (240-505-2641 or chiman.kwan@signalpro.net) for more information about projects in each area. 1. "A Novel and High Performance Framework for Chemical/Biological Agent Detection and Classification Using Fluctuation Enhanced Sensing," 2007. 2. "Enhanced Partial Fingerprint Recognition Using Feature Level Fusion," 2007. 3. " Condition Based Maintenance Using Wireless Sensors," 2008. 4. "Chemical Agent Fingerprinting Using Zero-Crossing Patterns," 2008. 5. "Multi-thread multi-core processing architecture for real-time applications," 2008. 6. "Fast and novel nonlinear change detection algorithms for hyperspectral image processing," 2008. 1. "Enhanced Partial Fingerprint Recognition Using Feature Level Fusion," pending. VSTTM is a new software tool that can generate highly compressed videos for reviewing and archiving. Our approach is an event based method. Novel algorithms are used to separate a long video into event segments and non-event segments. For event segments, more frames will be retained; for non-event segments, less frames will be retained. The determination of events and non-events can be done in real-time. The algorithms are robust to illumination changes, shadows, moving trees, the presence of multiple objects, changing traffic lights, etc. The tool is suitable for condensing long surveillance videos into much shorter videos and yet without losing any important information in the original videos. The conventional way of reviewing videos is to have an operator to manually view the videos, which is tedious and error prone. Having a much shorter video will reduce the operators' work load and also make the reviewing process interesting and fun. Moreover, the data storage can be much smaller. The video demo on the left shows the case where a raw video with a length of 14 minutes is compressed to a video with ony 16 seconds, a compression ratio of 52 times. The red markers at the bottom show the event segments and the green markers indicate the non-event segments. CAC-CETTM is a new software tool that can classify and estimate concentrations of different chemical agents. The tool is modular, flexible, and suitable for real-time chemical agent classification applications, including conventional and nano-sensors. It is low cost and independent of commercial software packages such as Matlab, Labview, etc. 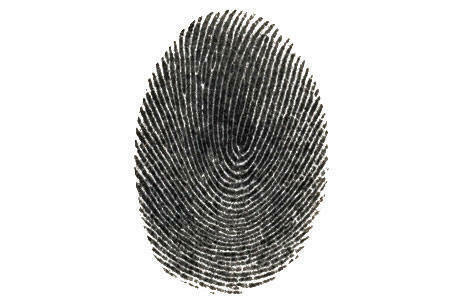 A personal identification system using finger and voice prints has been designed and implemented. This product uses low cost sensors that have complementary properties. We focus on a niche biometric market involving business executives, military personnel, and marketing people who need to protect valuable information in their desktops, PDAs, and laptops. Compared to passwords, fingerprint and voiceprint biometrics are hard to steal and more reliable. Although low cost (<$30) biometric devices will enable more users to use biometrics, the performance of existing software processing algorithm cannot meet the performance of these users. For example, some low cost fingerprint sensors have small area that can only capture a partial fingerprint and consequently the recognition performance drops significantly. Our proposed multimodal biometric algorithm will meet the above requirements by using multimodal biometric fusion, as our preliminary results already achieved 1% False Rejection Rate (FRR) at 0.2% FAR (False Acceptance Rate). A speech separation package that uses various algorithms to separate, ID, and recognize voices in noisy environments has been designed and implemented. The various modules were all implemented in C and are independent of any commercial software packages such as Matlab, Labview, etc. We target a niche market where speech separation is needed before speaker identification and speech recognition can start. Potential applications include personal identification in cocktail party environment, biometrics in multiple competing speaker environment, hands free communications in cars, etc. SPI has extensive experiences in fault diagnostics and prognostics. One paper written by Dr. Kwan was one of seven finalists for Kayamori Best Paper Award in the 2003 IEEE Conference on Robotics and Automation. Another paper on power quality monitoring and control received the 2004 Industrial and Commercial Power Systems (I&CPS) Ralph H. Lee Department Prize Paper Award. Recently, we developed real-time products for monitoring critical power system components using wireless sensors. Past statistics showed that 40% of machine failures occur due to bearing problems. Remaining life prediction of bearings will provide ample time to operators to order new parts, schedule maintenance activities, and prevent unnecessary machine downtime. Accurate tracking of multiple targets is important in military surveillance and civilian applications (air traffic control).